Aurora News: The Luminaire Holiday Festival was a great success! The Luminaire Holiday Festival was a great success! Over the course of the day, more and more people gathered at the Luminaire Navy stations for the Snow & Lightshow festival at 22H. As time progressed, the enthusiastic chatter increased, happy and cheery people talking in anticipation of what spectacular shows they'd see! A mere hour before the event, several partyboats arrived and gave away a nice opening lightshow, as a teasing of what was yet to come! More people undocked, and by using the specially modified festival launchers they were able to fire away fireworks & snowballs to kick off the event! Some people wanted to participate, but lacked snowballs to do so but capsuleer Zanza Mechonis came to their rescue by sharing his formidable stock with those who needed it, ensuring everyone could be part of this snowball fight! 22H, the event has begun! By the time the official event started, people were already enjoying themselves by shooting fireworks and pelting each other with snowballs. But for a moment, a stunned silence came over the crowd when two iconic ships warped in the middle of the crowd! As people recognized them as Concord SWAT battleships, cheering broke out, and to herald their arrival, people focused their fireworks & snowballs on them, delivering an explosion of light & snow! 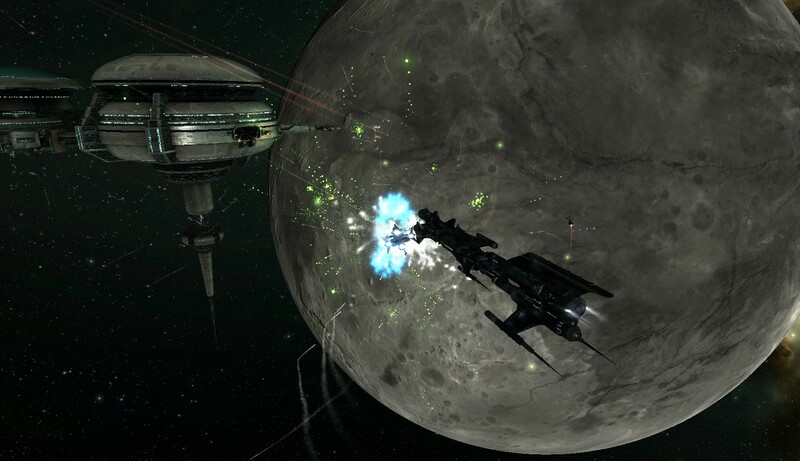 Image showing one of the Concord SWAT Battleships being heralded by fireworks! These Concord ships were piloted by two Commanders from the Crowd Control Police department, namely CCP Falcon and CCP Logibro. Officially they were present to maintain law & order among the capsuleergathering. But as the festival continued, and people kept dragging them into their lightshows and snowball fights, it's safe to say they enjoyed it as much as we did, especially as nobody tried to crash the party. While the festival continued, Commander A9, the organizer of the event, announced there would be 3 major lightshow competitions, so everyone has a chance to win prizes! There would also be a Secret Santa Gift Giveaway, in the spirit of the holiday season. The Santa figure is an obscure reference to an old holiday event that was all about sharing and promoting good will among people. Meanwhile DJ Tranze of New EvE Radio provided the music to enhance the mood and keep spirits at an all time high & jolly! DJ Tranze also held a great & successful lottery across the holiday event! Just before the lightshows started, Caroline Grace arrived with her Providence freighter, giving people a great focal & navigation point in space to cluster around! As if the Concord ships weren't enough! During the whole event, people playfully pelted snowballs at her freighter, turning it almost entirely white at the end due to the massive amount of snowballs being flung! Footage of Caroline Grace's Providence and the Concord ships being pelted by large amount of snowballs! A Videofeed provided by Capsuleer Thufir Bezluden: Luminaire Snowballs & Fireworks! These were the core of the events, renowned lightshow and firework artists from all over the cluster would gather, displaying their skill in creating marvellous displays of awe and amazement! The best among them would be granted prizes. As there would be 3 Lightshow competitions, it was made sure no skilled artist would be left out in this event! The first lightshow event was a great display of lasers and drones in wondrous patterns of light! A nice free show for the miners present as well who were completely surprised by the show held in their area. The people cheered and applauded for the neat shows and enjoyed them greatly. 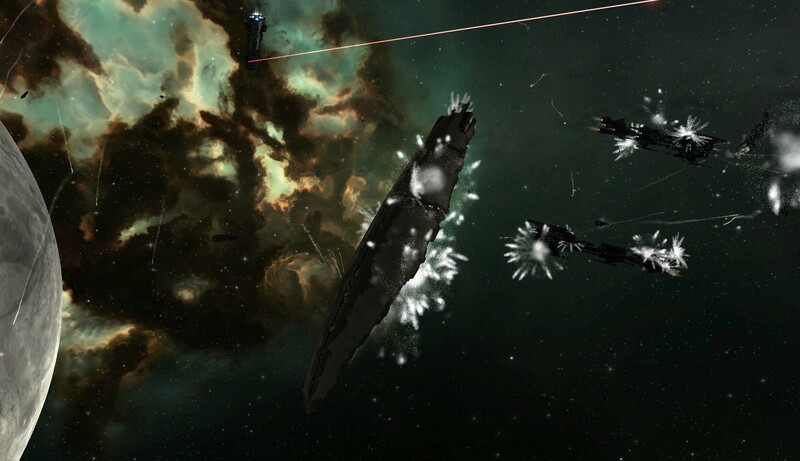 The first show also included alot of hilarity, as CCP Falcon managed to get his Concord SWAT Battleship stuck between the rocks. With pushing and pulling from people present, he managed to free himself out the dastardly asteroidfield. The second lightshow saw alot of long range displays, lighting up entire rockfields with a single lasersweep, fireworkdisplay or dronegroup-passage. While the show was less intense lightwise, it was more than made up by the sheer scale provided by the competitors! A small dent in the holiday cheer happened here tho as a scrooge capsuleer tried to grinch the event by attacking yours truly! However in the spirit of the holiday season I refused to retaliate, nor releasing the killright on him. Also no further indicents occured, and Concord felt no need to intervene after this, allowing CCP LogiBro & CCP Falcon to enjoy the event fully. The third lightshow was much more small scale then previous, but also much more orderly, allowing people to have a clear view on these small but intense displays of skillful drone & lightshows. Drones performing beautiful dancing patterns of light, guided by lasers bouncing off them, or fireworks exploding all around them. People applauded as they saw the drones dance in space on the lights and the music. Now comes the list of winners! Second lightshow winners: (1) Ordule (2)Nohugh Arnott (3) Robyn Aurilen (4)Alstevar Eastern However, one of the winners decided to gift away his price in the spirit of the Holidays to Yuuki Nakamura as she assisted greatly in making his show a succes! All in all, the lightshow event was a formidable succes and greatly enjoyed by all attendants. The prizes handed out were impressive, they included a Stratios, a Pilot License Extension, Luxury nights with Exotic dancers and tons & tons of snowballs! Holiday Cheer across the evening! The times between the lightshows and the rest of the evening were greatly enjoyed as well. people chasing each other to throw snowballs at each other. Capsuleers like Che Biko and Zero Vigilant sneaked up on unsuspecting others, launching volleys of snowballs and fireworks, then speed away laughing of joy as their target is left behind, covered in snow & firework lights! Capsuleer wh0dunnitthethird kept providing snowballs for the event through Commander A9 who handed them out to all who wanted more! 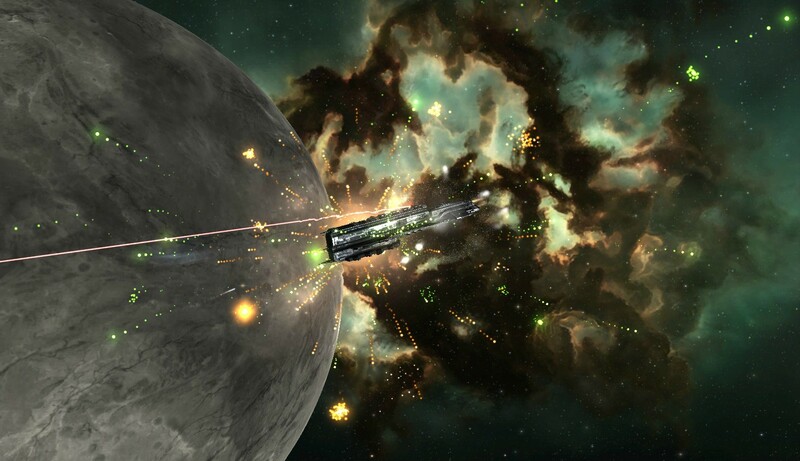 CCP Falcon & CCP Logibro also informed capsuleers they could buy additional fireworks and snowballs from the store! This generous act of Concord was met with much cheering and jollyness. The Secret Santa Gifts were also enjoyed, and the happy people linked their gifts for others to see. This also showed the generosity of capsuleers, as shown by the gifts linked: Astero, fully fitted Vexor, high quality faction modules like Gistii drives and such, but also a Full holiday supply worth of snowballs! The Aurora Arcology Rokh Partyship in all its glory! 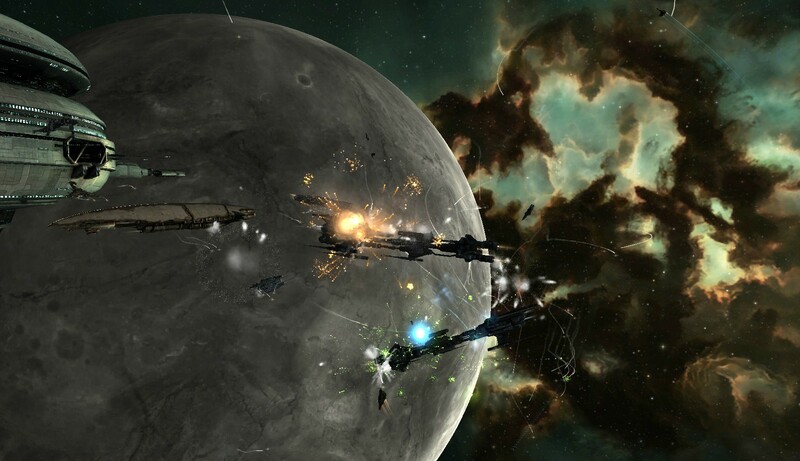 A group picture of several attendees, the large Providence piloted by Caroline Grace and the two Concord ships piloted by CCP Falcon & CCP Logibro do catch the attention here! All in all, it was a great success, enhanced by the arrival of two beloved Concord officials. All those who participated can leave their comments at Commander A9's informationfeed about the event here: Luminaire Snowball Fight! The happyness and jolly people expressed was a welcome change of the otherwise grim and darkness the cluster usually offers. The event also showed a great deal of charity, people donating snowballs to others, so everyone could participate and also actively helping by donating prizes and being part of the Secret santa giveaway! The amazing lightshows both in and out the competitions made for marvellous displays and meant there was always something new to see! Also a big thanks to DJ Tranze of New EvE Radio for the lottery, giving out 13 billion worth in prizes and of course for providing the music! Let us not forget to congratulate Commander A9 for organizing this event, as he made this all possible! But all the people who supported this event allowed him to make it even more of a succes! A big thanks to all who attended, you made this a success!